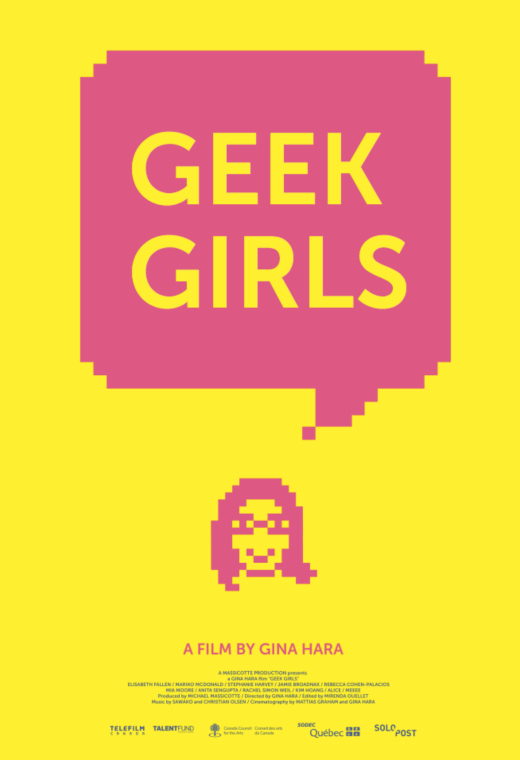 Join us for this very special one off screening of GEEK GIRLS. We are very excited to announce that after the film we will be joined by director Gina Hara for a question and answer session. Geek Girls is the first feature-length documentary exploring the hidden half of fan culture: nerdy women. Although geeky communities have recently risen to prominence as major cultural contributors, very little attention has been directed towards the women who live and work with nerd culture on a daily basis. Filmmaker Gina Hara addresses this oversight by delving into a world of professional gamers, cute dresses, fake names, and death threats; she follows her subjects through the exhilaration of newfound community and the ennui of ostracization while also exploring her own struggles with her geek identity.